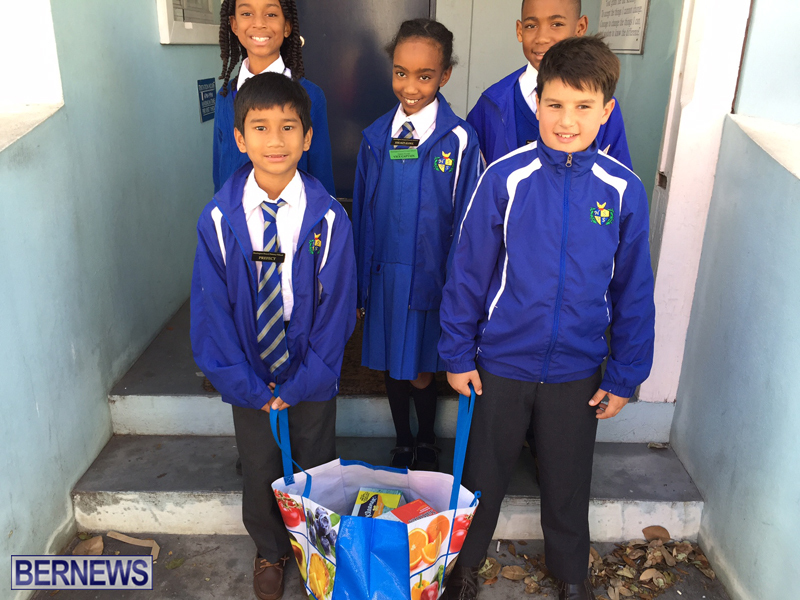 A group of students from Harrington Sound Primary School recently gave back to the community, making a presentation to the Salvation Army to help assist those in need. 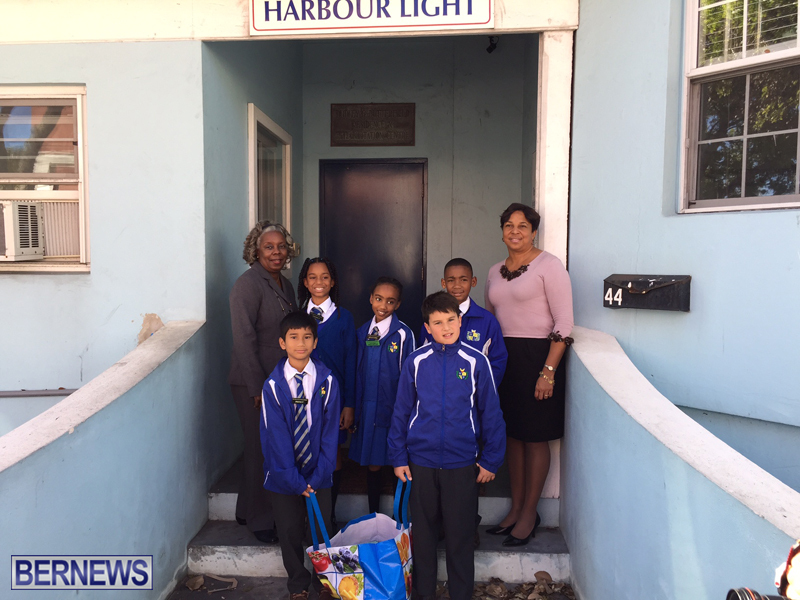 The presentation was made at the Salvation Army’s Harbour Light location where the students, joined by teacher Ms Richardson and parent Stephanie Bridgewater, met with Lionel Cann who works with the Salvation Army. Students Teri Tomlinson, Meric Asendido, Sven Curlay, Kenya Smith and Eliana Kirkos delivered the bags of items to assist the local homeless population. The group planned to join Mr. Cann to help deliver some of the bags around Hamilton, and Mr. Cann said that he would continue to pass the donations on when he did his nightly rounds and served meals to people. What a nice positive story. Good job!